UV Protection: With dual layers of pongee fabric, it has excellent anti-ultraviolet (UPF>50+) effect and light transmittance is ZERO, which keeps strong sunlight away from users. 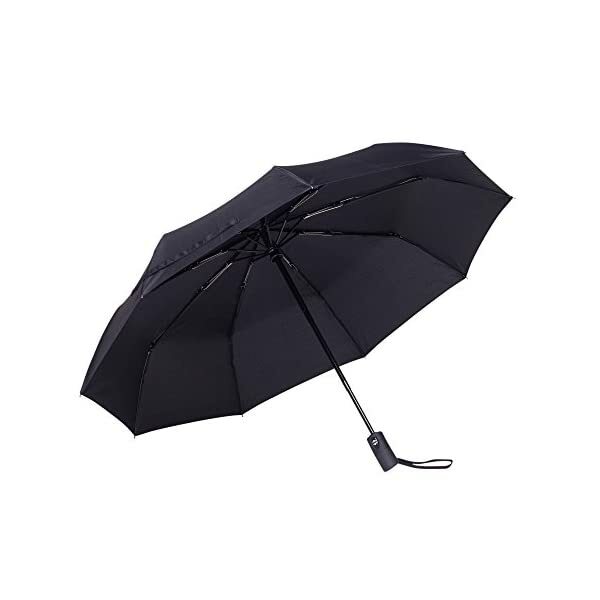 WINDPROOF DESIGN - 9 reinforced fiberglass ribs with sturdy all metal frame and shaft make the canopy highly wind resistant for storms and the harsh outdoors. 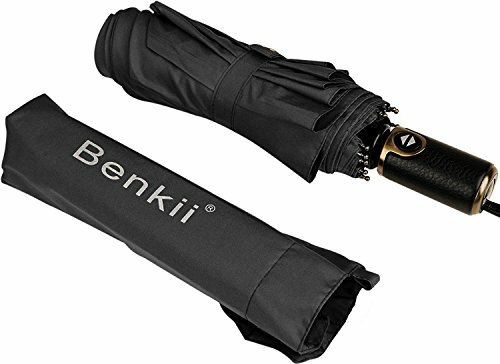 Compact, lightweight, stylish and durable for the best quality weather protection. FAIL-SAFE FLIP TECHNOLOGY - Our virtually indestructible weatherproof canopy survives super strong gusts of wind because the fiberglass hinges are equipped with a fail-safe technology that will invert the canopy but will not cause the ribs to bend or break. 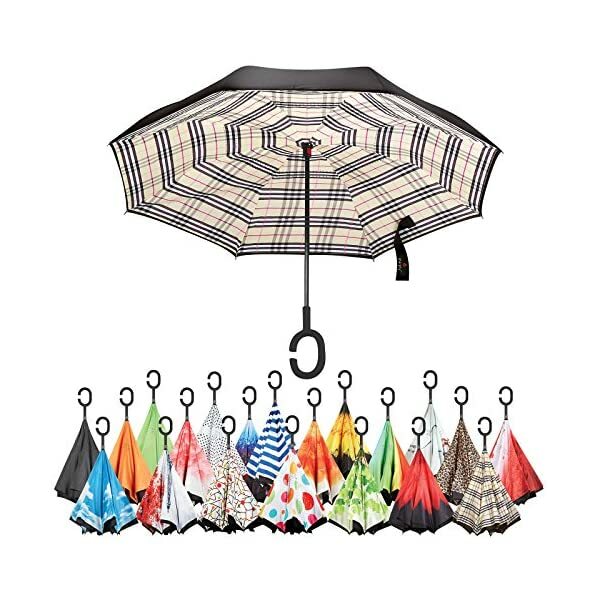 Unlike cheap umbrellas, our heavy duty umbrella is ready for whatever Mother Nature brings. REVERSE FOLD TECHNOLOGY - Featuring a new & unique inside out reverse folding windproof frame that allows you to easily enter and exit cars, doors, and other tight spaces without getting wet. 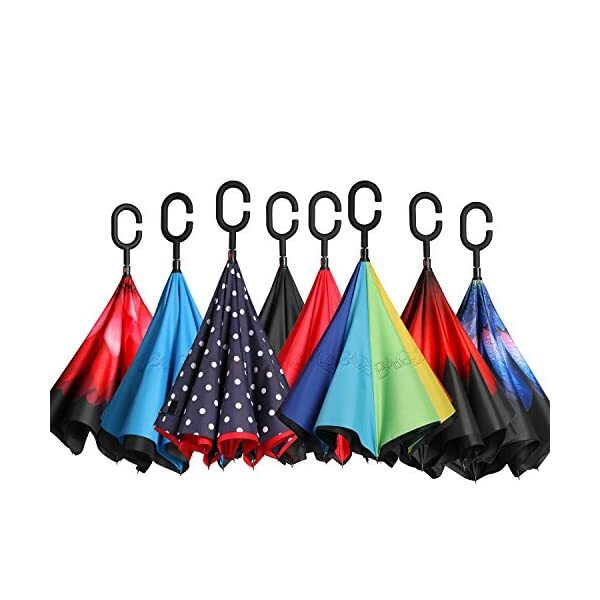 The umbrella collapses inwards with its inverted frame to trap any water droplets inside the canopy to prevent leakage. 8 TWIN LAYERED RIBS MADE OF REINFORCED FIBERGLASS - 8 double layered fiberglass ribs offer outstanding wind resistance, and are equipped with a fail-safe inversion technology that allows the reversible frame to invert during extremely high gusts of winds to prevent the ribs from snapping. 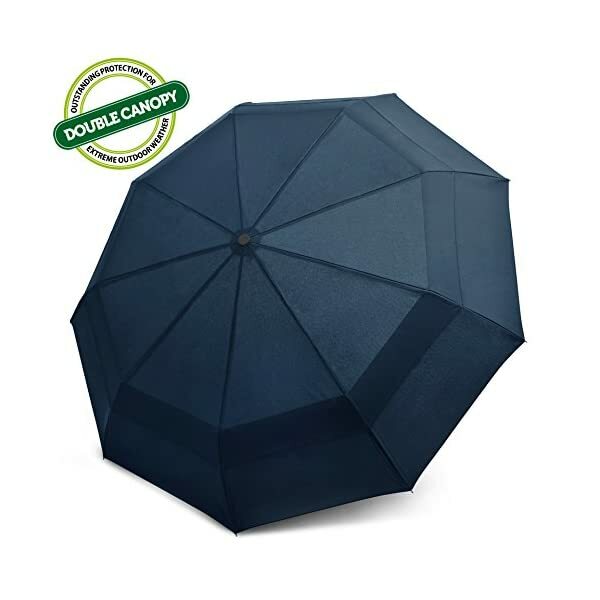 TEFLON COATING AND DOUBLE LAYERED CANOPY - The top layer is coated with Teflon protective coating that is waterproof causing rain to bead up and dries with just a few shakes of the umbrella. An additional layer is added to the underside of the canopy to protect the ribs from the elements, preventing rust. The large canopy measures 48" for full protection. 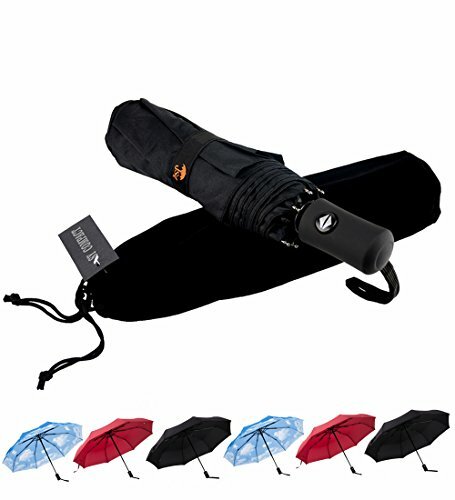 STURDY FRAME CONSTRCTURE, STRONG WINGPROOF: Made of 16 durable fiberglass ribs and aluminum alloy central shaft, making the umbrella strong sturdy and windproof. 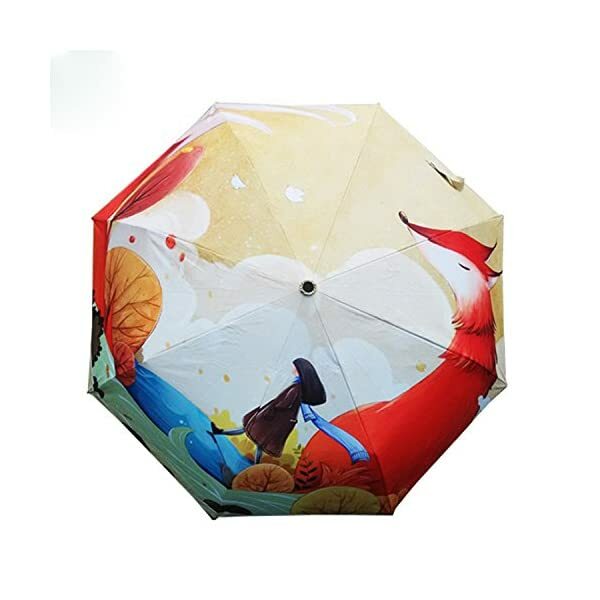 It won't flip inside out even in strong wind. 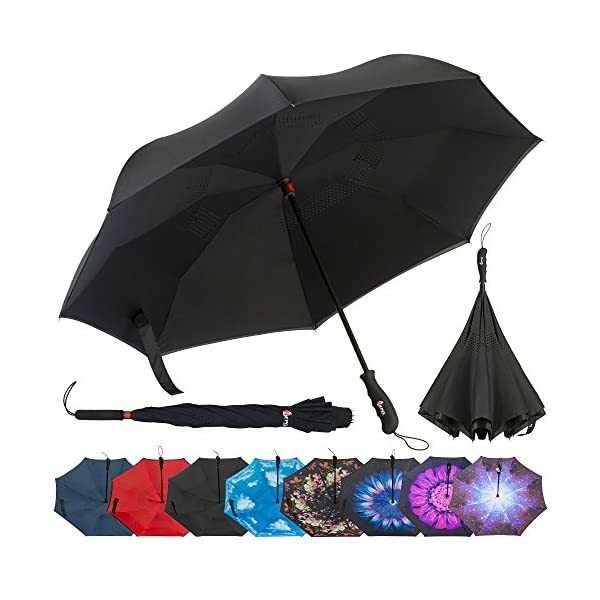 Durability tested thousands of times to ensure it won't be broken in heavy rain. 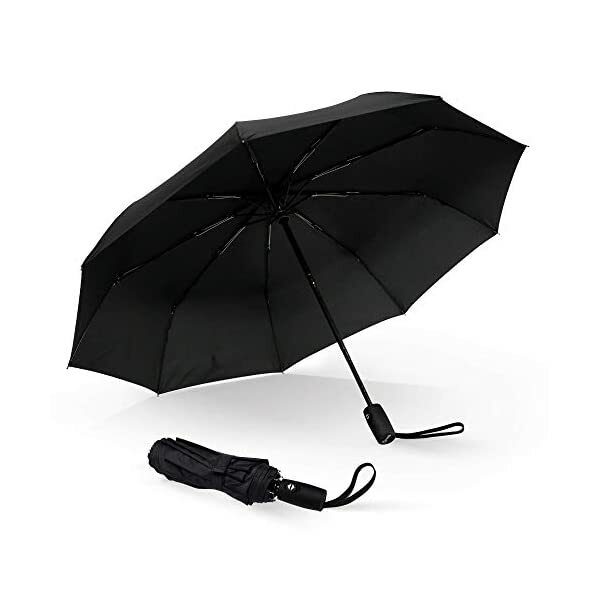 AUTO OPEN, COMFORTABLE GRIP: The umbrella is semi-automatic designed. 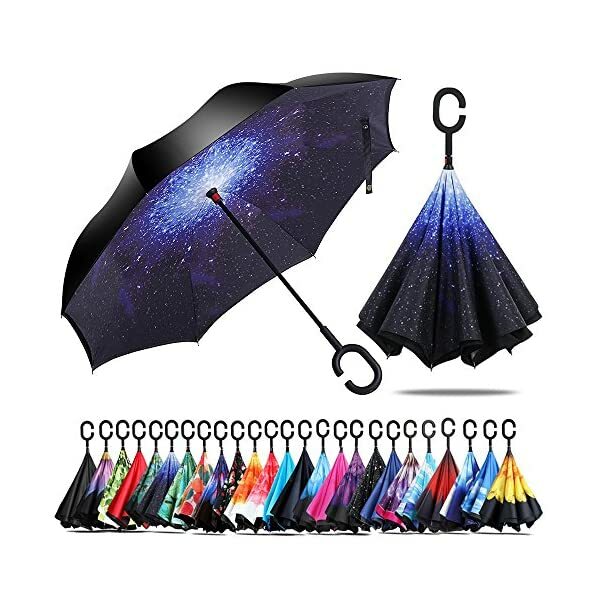 You can automatically open it in just one second to avoid get wet in rain. Considering longer lifetime, the close feature is hand-driven. 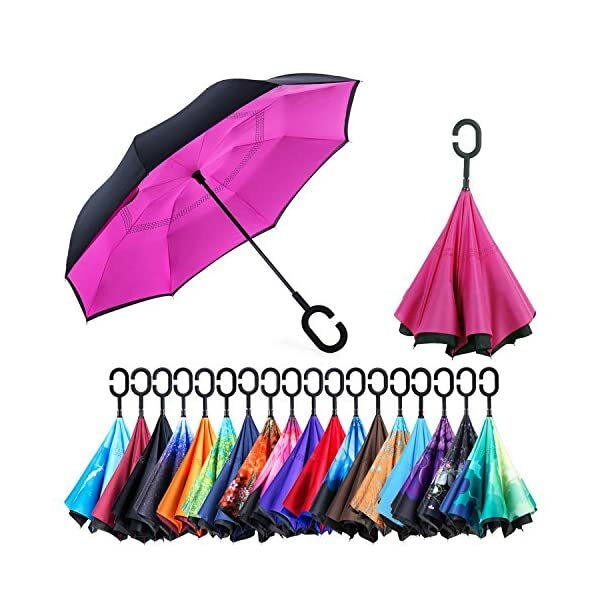 Thousands of times operation is stress-free for this straight umbrella. EVA handle makes you feel comfortable when hold and also reduce the total weight. RUGGED COVER AND DURABLE CONNECTOR. 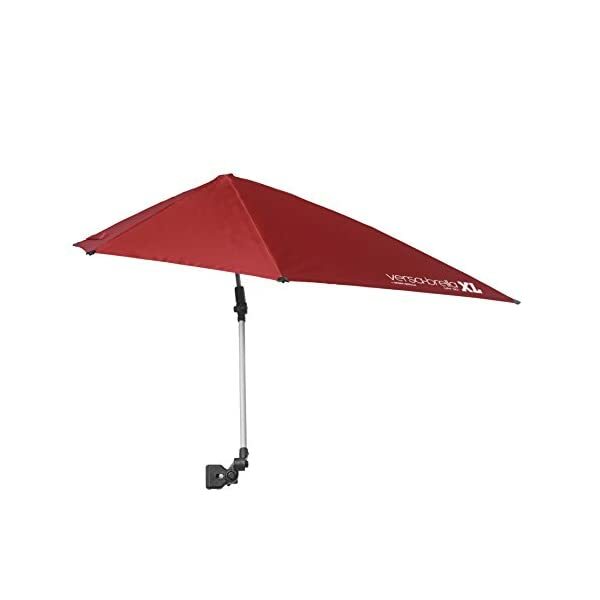 The rugged canopy cover won't rip or tear and is fundamental for sun protection. The universal, heavy duty clamp will ensure a secure hold on your golf bag, stroller, beach chair, or even a set of bleachers.